PMC Lighting is proud to announce our March Featured Agent of the Month: Ardd + Winter, Jacksonville, FL office. 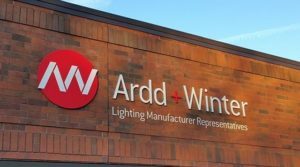 Ardd + Winter just celebrated their fiftieth business anniversary in 2018 and is known for being one of the most respected, stable, and sustainable rep firms in the lighting industry. In the picture above, our collaboration on the Community First Credit Union, based in Florida, is shown. 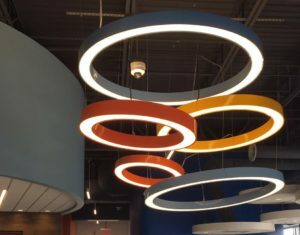 PMC Lighting delivered custom ArcX fixtures with painted custom colors that fit the bank’s brand and desired style. As part of the bank’s redesign and upgrade, our luminaires light the signature lobby, which features a relaxation zone and a walk-up ATM. We are also looking forward to more projects with Ardd & Winter! Самый выгодный онлайн займ без проверок и отказов вы можете получить на ресурсе http://credit-n.ru/zaymyi-next.html, это авторитетное интернет издание, посвещённое микрозаймам и кредиту. Самые известные аналитики дают свои рекомендации по оформлению займов и кредитов на карту.